You'll always have a place to park toy cars with this awesome wooden Parking Garage from Alex. 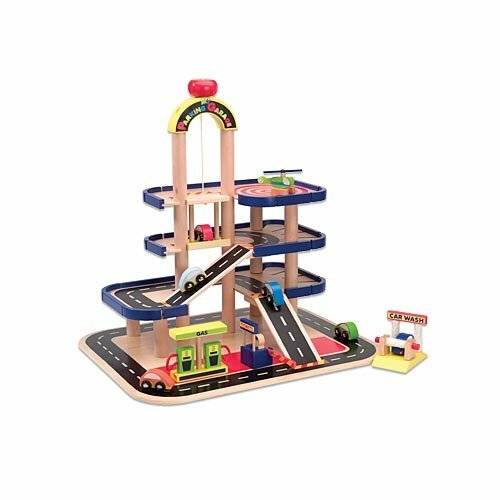 It's comprised of three colorful levels that are easy to put together on top of a large road play area. The elevator takes cars to all three floors while the rooftop functions as a heliport. Sturdy construction assembles easily. Can also be easily taken apart for neat storage. Included are four hand-painted wooden cars, a helicopter, car wash, toll booth, attendant and gas station. Measures approximately 23"Lx18.5"Hx19"D.